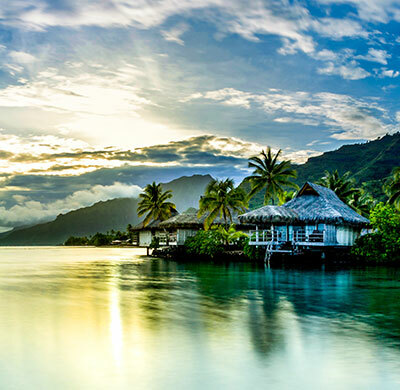 There is nowhere in the world quite like The Islands of Tahiti. Bora Bora and all The Islands of Tahiti offer enchanting and diverse landscapes, from dream-like lagoons to rugged, wild coastlines. The islands are an untouched sanctuary with black, pink and white sand beaches, azure waters and, with an untrue reputation for being remote, relatively few visitors compared to other tropical destinations. A combination that makes it a perfect location for romance, self-discovery or a relaxing trip to recharge your batteries. 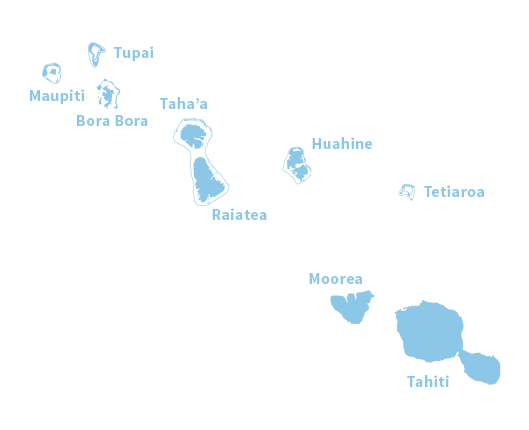 The Islands of Tahiti also have another impressive feature – overwater bungalows. In 1967, the first three overwater bungalows were built at the Bali Hai Hotel on Raiatea, followed by the overwater bungalows on Moorea and at Hotel Bora Bora. Originally built as traditional stilted homes, over the past five decades The Islands of Tahiti’s overwater bungalows have evolved into palatial suites offering the amenities of a first-class hotel room, boasting private terraces, infinity pools, hammocks, spa baths and the signature glass floors, and where breakfast can be delivered by outrigger canoe. 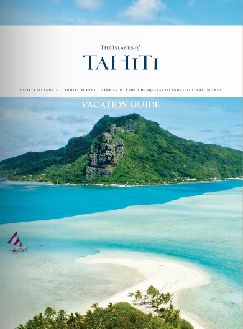 Fifty-one years on, there are now 884 overwater bungalows spread across 22 hotels in seven of The Islands of Tahiti’s 118 islands, sought after and desired by travelers all over the world. You’ve probably seen overwater bungalows on Instagram, travel magazines or Pinterest. These are the unmistakable thatched cottages that appear to float on the clear waters. Aside from being a feature for very “share-worthy” photos, overwater bungalows also make for amazing holiday accommodations. They provide a measure of privacy over traditional hotel rooms while offering easy access to the water. Plus, The Islands of Tahiti have some of the best overwater bungalows in the world. While this style of lodging can be found on most islands, here is a short list of some of the impressive overwater bungalows you will find in The Islands of Tahiti. The St. Régis Bora Bora Resort is located in the heart of Bora Bora on a private island. It is close to the Bora Bora Lagoonarium and Motu Taufāri’i. The resort features overwater villas with private swimming pools as well as villas with access to a secluded beach. The St. Régis Bora Bora Resort is also home to the world-class Miri Miri Spa by Clarins. The Intercontinental Bora Bora Le Moana Resort is halfway between Plage Matira and Matira Point on the southernmost point of the island. A four-star resort, its bungalows spread out over a private lagoon that offers uncluttered views of Otemanu and Pahia. 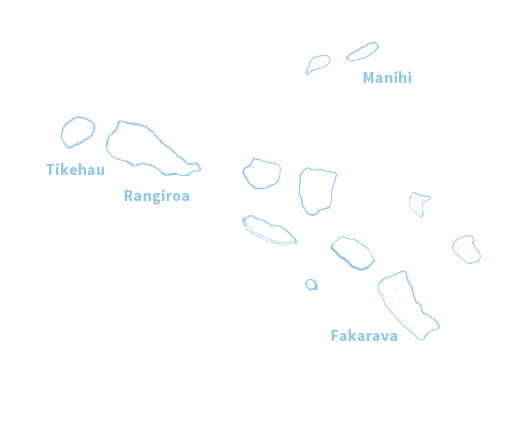 The Royal Huahine is on the coast, just past Eden Parc on the west side of the island of Huahine. There are 39 private bungalows, 11 of which are overwater bungalows. There is also an onsite restaurant, lounge and bar with panoramic views of the most unforgettable sunsets. 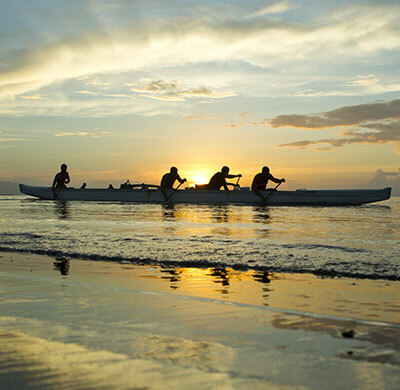 You will find the Tikehau Pearl Beach Resort on the island of Tikehau. The overwater bungalows offer majestic views of the setting sun from their perch in the Tikehau atoll – a ring of tiny islands that envelop a coral reef. The inner lagoon is calm, clear, and perfect for snorkeling. If sunrises are more your thing, consider the Bora Bora Pearl Beach Resort & Spa. 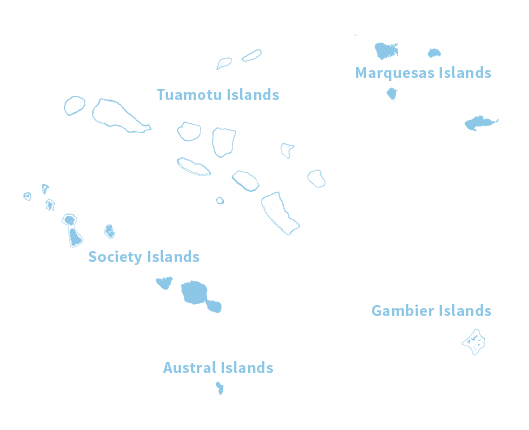 It is on the southeastern side of Motu Tevairoa, in Bora Bora and just across the lagoon from Vaitape. The proximity lets you easily enjoy trips to the mainland while the overwater bungalows let you experience the beauty of Bora Bora. The Islands of Tahiti are warm and welcoming. No matter what sort of experience you are after, this exotic location delivers. There are small villages full of local life to explore pineapple and Tahitian vanilla plantations to visit, romantic moments to savor, and endless outdoor adventures such as diving, snorkeling and hiking. Enhance those experiences by choosing a resort that offers overwater bungalows. You’ll be able to enjoy the turquoise waters in a way that is simply unforgettable.